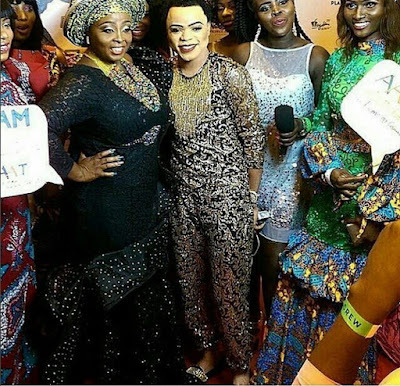 Lolo 1 welcomed Bobrisky on stage on Sunday night at her comedy show Oga Madam Live on Stage. Bobrisky thoroughly enjoyed his time there and posted all the moments on Snapchat. Lolo also posted a video of them dancing on stage but got a lot of backlash, so she told people not to judge. Watch the video and see her comments below! About last night at #OgaMadamLiveOnStage #2016 @officiallolo1 comedy show with @bobrisky222 on stage... This performance has sparked loads of criticism which she took to her I. G page to write "I just wonder why the world has no love. Jesus died for all yet we judge other. Please keep your hate off my page"